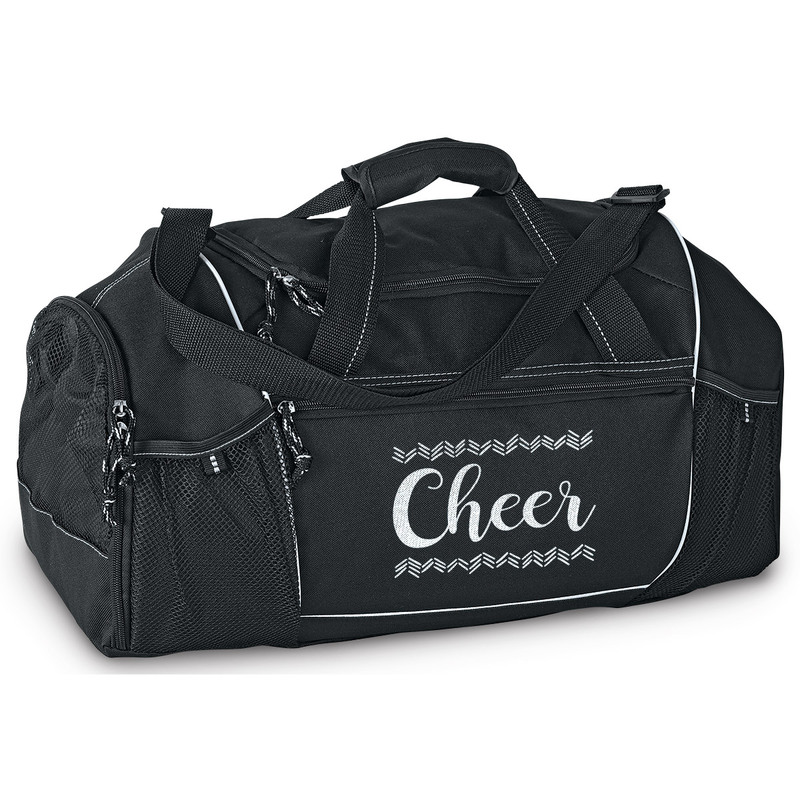 This durable black duffle bag will hold all of your cheer gear! 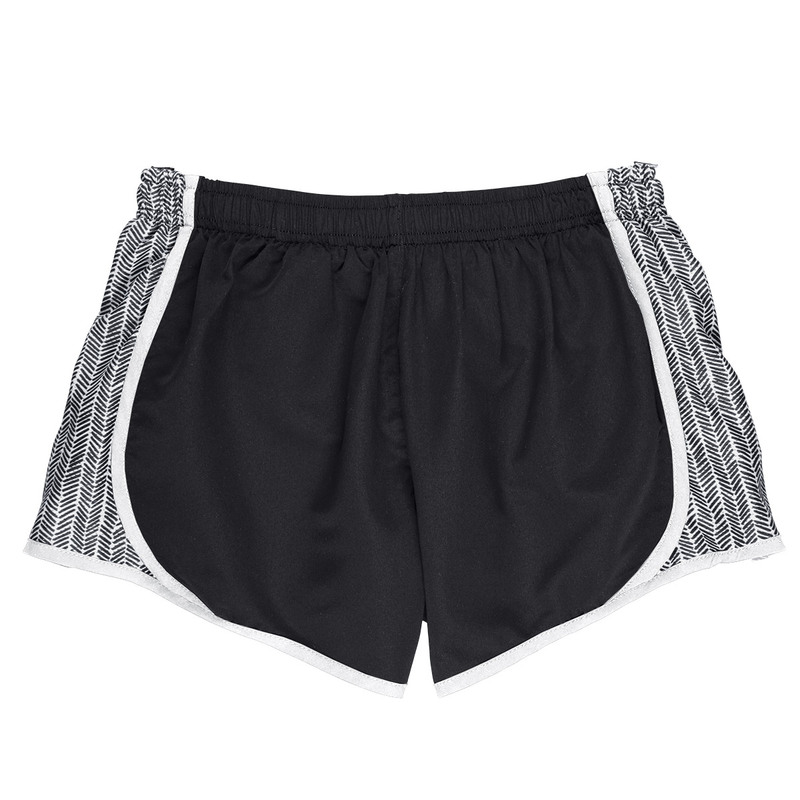 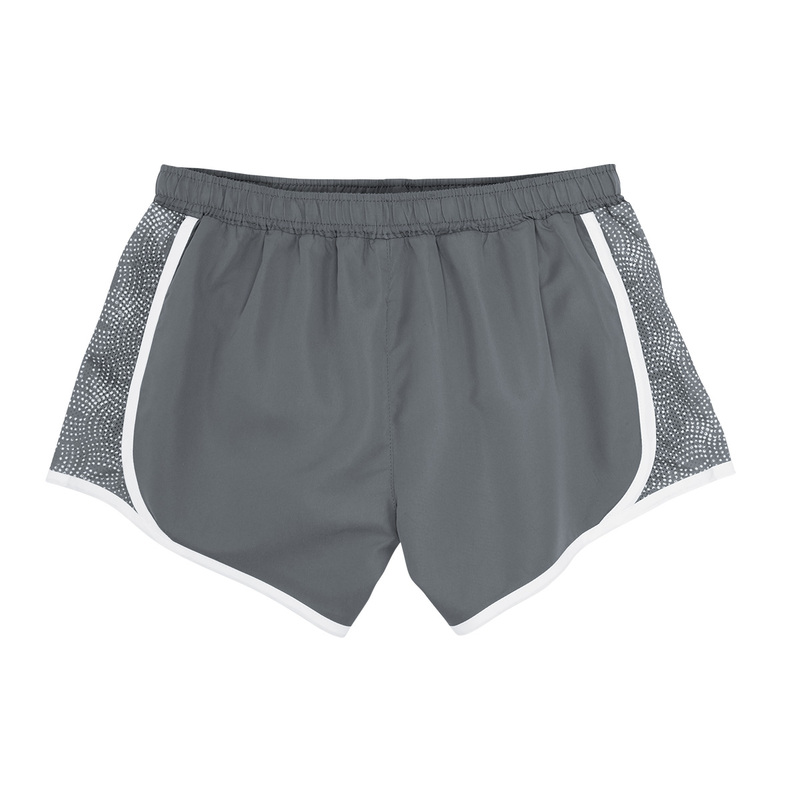 Features a cute “CHEER” imprint in White on the front pocket. 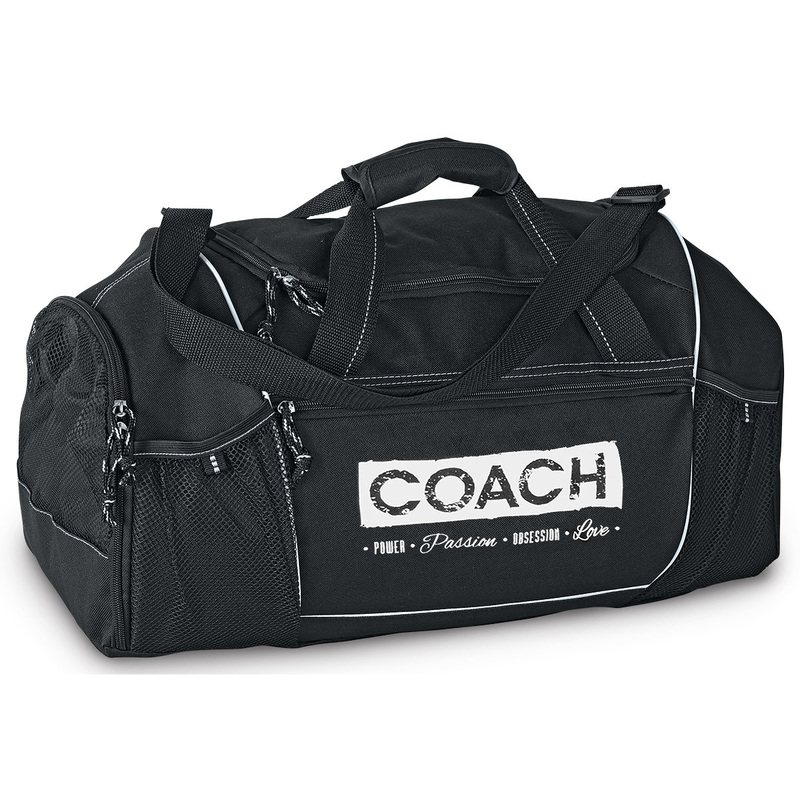 Bag includes detachable shoulder strap. 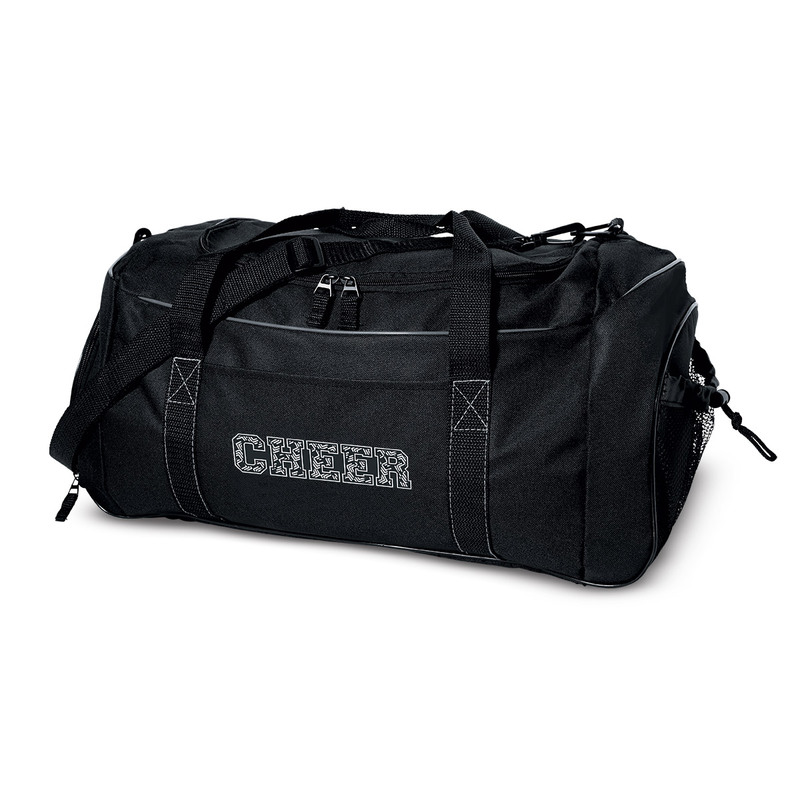 The side cinch mesh pocket is perfect for holding your water bottle at practice, and the end pocket shoe tunnel keeps your cheer shoes contained and protects the rest of your gear.